Why does my puppy howl? When a new puppy arrives in his new home, he has to contend with a whole new world. He probably feels quite lost at first, and especially when you are not there. It can’t be easy, and many puppies cry a little when left alone or placed in a crate. Sometimes simply leaving the puppy to ‘cry it out’ can be the best solution. But some puppies get terribly distressed and wind themselves up into quite a state. A noisy puppy can also be one of those problems that creeps up on you without you noticing. One day he grumbles a little in his crate, and a few days later he is whining and yapping to be let out. 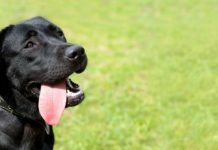 This technique will help you teach your puppy that silence is a good thing. There is no force involved and it works quite rapidly to resolve crying in small puppies. To work through this exercise, you will need a clicker, and some nice juicy little chunks of roast chicken or beef. [wp_ad_camp_2]Cut the chunks very small so that they are not much bigger than a pea. The reason for using a clicker is that initially, the gaps in your puppy’s crying may be very brief. 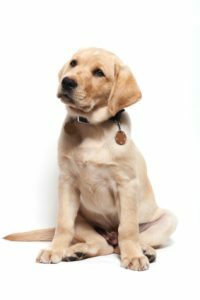 A clicker is a nice accurate way to mark and identify those gaps, so that your puppy understands what he is being rewarded for. You will need to place the puppy somewhere that enables you to close one of the doors in your house with the puppy in his crate on one side and you on the other. You can put him in his crate if you need to. If the puppy cries before you get to three, be ready to press the clicker as soon as he pauses for breath. Don’t wait for a long pause, just a second will do. Press that clicker immediately the puppy pauses for breath and before he starts crying again. Return immediately to him EVEN if he is now crying again. In this exercise we will build up the length of time that your puppy will remain silent after he has stopped crying. We are teaching the puppy that to become silent and to remain silent, is rewarding. As soon as he pauses for breath start counting in your head. Count one thousand two thousand. Don’t click for very short pauses, but don’t wait for a long pause, just two seconds will do. Press that clicker immediately you get to two thousand. Your next task is to increase that pause to three seconds, then to five, then seven, then ten. And so on. Gradually lengthen those pauses. Check out the tip below for the most effective way to lengthen pauses without a breakdown in your new behaviour. If at any time the puppy starts to slip back again, just go back a step or two and move forward more slowly. The next exercise is for puppies that are successful in not crying at all for the three seconds after you first leave them alone. If you keep adding duration steadily you will soon reach a point where your puppy ‘cracks’ and starts to cry. You will then have to ‘back -up’ and return to a simpler exercise. To avoid this, simply mix and match the duration of your absences as you go. In each session, sandwich the longest absence, in between some shorter ones. 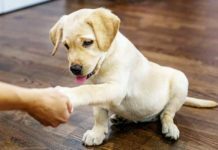 [wp_ad_camp_1]For example, if all goes well and the puppy does not cry when you leave the room very briefly, in the second session you might leave the puppy for three seconds, then five, then two, then seven, then three again. By the time you get to the tenth session, you might leave him for twenty seconds, ten seconds, forty-five seconds, twenty seconds, then five seconds. It may not seem like much but you have actually made a break through. You have taught your puppy to chose to remain silent for a few seconds. 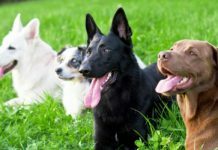 Now all you need to do is build on that in nice easy stages so that your puppy cannot fail. Don’t rush it. Be glad of your three seconds. Celebrate it, and cherish it. 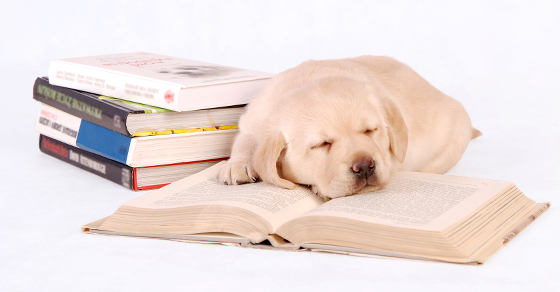 If you can teach a puppy to be quiet for three seconds, you can teach him to be quiet for three minutes, and so on. It is a process. Work carefully and you will get there. The clicker for quiet technique works well for older dogs too. Some have simply learned to enjoy the sound of their own voice. Either way, teaching them that silence is rewarding, is the way to go. Our puppy (nearly 6months now) whines when he hears us getting ready in the morning until we go downstairs ready for breakfast/going to work. We go downstairs when there is a break in his whining. 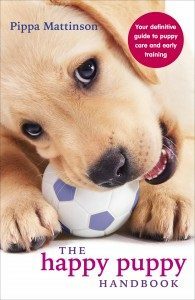 Would this training help with that, as understandably puppy is excited? 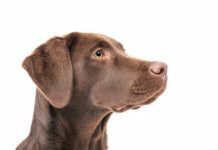 You are very welcome to join the forum where you can chat with other experienced Lab owners and get the help and support that you need. I need help with a 9 month old male lab that has been waking up and crying since we got him and his sister. She’s quiet as a mouse and never makes a sound. Leo now sleeps until 5:30-6am (a tremendous improvement). I would like him to learn to wait for us to be the ones to announce it is time to start the day. Should I just ignore him and only go downstairs when he’s silent? Silly question probably but what is a clicker? 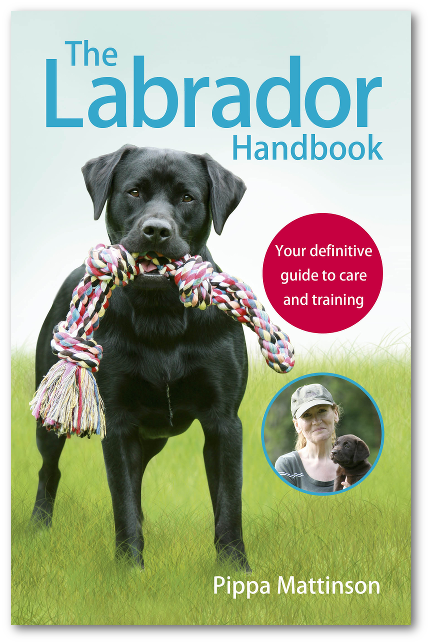 Going to try and put this into practice with my 18 month old lab, we do group gundog classes but he whines when he sees another dog retrieving. Hopefully this can be a solution. 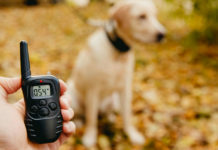 Hi, how do you adapt this to control yippy barking just before a walk?